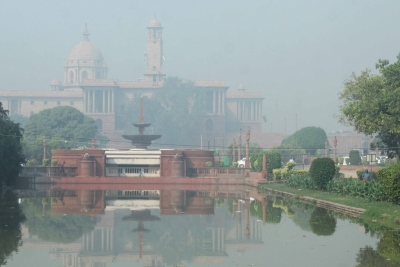 New Delhi, Oct 28 (IANS) It was a misty Saturday morning here with the minimum temperature recorded at 16.6 degrees Celsius, one notch above the season’s average, the weather office said. “The sky is expected to remain clear, with mist in the morning,” an India Meteorological Department official said. The maximum temperature was likely to hover around 33 degrees Celsius. Humidity at 8.30 a.m. was 90 per cent. The maximum temperature on Friday settled at 32.8 degrees Celsius, two notches above the season’s average and the minimum temperature was recorded at 17.3 degrees Celsius, one notch above the season’s average.